Aerospace continues to evolve and with that evolution come new challenges in achieving mission success. 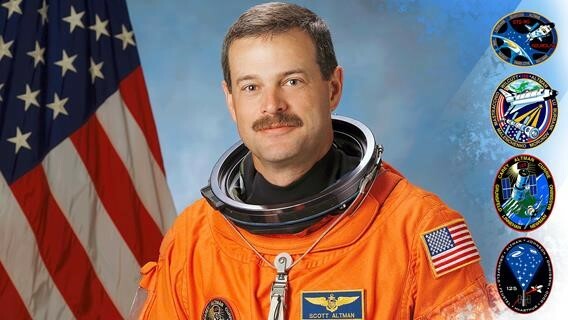 Scott “Scooter” Altman is a former Astronaut and a 2018 U.S. Astronaut Hall of Fame inductee. Altman served on four space missions, commanding two and piloting two others. A graduate of the Navy Top Gun School and a pilot in the film “Top Gun”, Altman is currently the senior vice president of Civil Operations for the ASRC Federal Engineering, Aerospace and Mission Systems operating group. Altman has a unique perspective on how the aerospace industry continues to adapt to new challenges and shares his insights with SpaceCom into where he sees the industry headed. Q: What are the top challenges you see in the Aerospace industry today? A: There is an increasing need to provide faster, more efficient and cost-saving solutions for space missions. As we move beyond Low Earth Orbit (LEO) on our way back to the Moon and on to Mars, one of the key challenges will be reducing the crew’s reliance on the ground – placing more autonomy on the vehicle. Machine Learning and Artificial Intelligence (AI) continue to evolve and provide significant opportunities to advance the industry. AI can help us monitor systems and alert the crew to specific issues in real time, as opposed to relying on ground control for support. Machine Learning is also a critical part of solving that challenge. For example, with ASRC Federal’s latest Machine Learning capabilities, we are now able to leverage data-driven analytic decision support solutions that provide timely and contextually relevant actionable intelligence. Additionally, these capabilities can predict anomalies and identify the beginning of an irregularity, ultimately preventing catastrophic failures during missions. Another challenge lies within the workforce. Many of the young engineers, scientists and technicians who led the way during the Shuttle era are preparing to retire. It is critical to capture and transfer their knowledge and skill base to the next generation. Simultaneously, we need to inspire the best and brightest minds to enter STEM related fields so that they can carry the fire of exploration to a new age. One way ASRC Federal is addressing this situation is through our partnership with Eastern State College on Florida’s Space Coast. We’ve developed an apprenticeship program that couples young talent entering the workforce with experienced personnel, so that knowledge and inspiration is passed on to support the Orion program and future space vehicles. Q: What future innovations do you believe will have a significant impact on aerospace? A: Selective Laser Melting (SLM) manufacturing is an exciting advancement in our ever-expanding ability to perform 3D printing. SLM, fabricates parts out of a variety of metallic alloys. I believe this could allow us to fabricate replacement parts while in space. Further, SLM is dramatically improving our ability to fabricate increasingly complex shapes than are currently produced through machining. For example, our SLM has been used to improve combustion chamber performance and cooling – producing more efficient engines that will enable exploration. Q: Do you see an opportunity for the commercial sector and government agencies to work more closely together? A: Absolutely. NASA has actually always worked in conjunction with the commercial industry, contracting with companies on every effort we have launched. NASA also jump-started the current commercial efforts to launch into Low Earth Orbit through its Commercial Cargo and Commercial Crew programs. I believe that in the future, private industry may be able to take a larger role in providing transportation to LEO, allowing NASA the ability to focus its energy and talent on longer return investments, like lunar outposts and exploration of Mars and the moons of Jupiter. Q: And just for fun, what was the most rewarding part of being an Astronaut? And, what did you find to be most challenging? A: The most rewarding part for me was commanding the final servicing mission to the Hubble Space Telescope and finally – after five incredibly challenging spacewalks – deploying it at peak capability with all our tasks successfully completed. It took an incredible effort over many years with a tremendous team to accomplish this feat. Our ground team gave us incredible support; our training team helped prepare us to deal with the challenges we ran into; the folks at Goddard Space Flight Center gave us the tools and instruments to install and repair the telescope; and the folks at Kennedy Space Center gave us an awesome space ship that got us there and brought us home. The most challenging task was trying to plan a menu for an entire space mission. I don’t normally plan my menu ahead of time, so actually looking at a list of food and trying to come up with a menu plan for a 14-day flight seemed like a very stressful task for me. In the end, I just came up with a five-day menu and repeated it three times! I was sure I had ordered two pouches of Kona coffee with cream for each day. For the first seven days, I had two cups each day after our wake up call. On flight day eight, I looked in my food locker and found no more bags of Kona coffee. I then looked up my actual menu and discovered I had only ordered one Kona coffee per day. I had to put out an emergency call to the rest of the crew to find enough to get me through the flight and to a successful landing! Have more questions for Scott “Scooter” Altman? Register now to join us in Houston for SpaceCom 2018 and stop by ASRC Federal’s booth to chat with Scooter and the team. ASRC Federal will be exhibiting at Booth 516, showcasing some of the latest capabilities in Machine Learning, Artificial Intelligence and additive manufacturing for space missions.